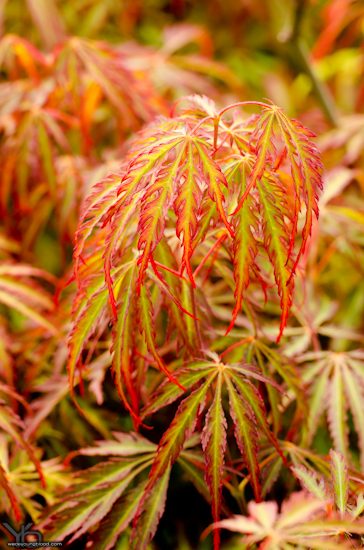 Small weeping tree with finely cut deep reddish-orange leaves. Need sun and wind protection in cold-winter areas. Great accent plant. Excellent for containers as a patio plant.